The new rules of brand identity dictate that your brand interacts with consumers on four levels: verbal, visual, sensory and interactive. It’s no longer good enough for brand identity design to cover just the words, images, colors and fonts associated with a brand. When you are creating a brand, it’s important to remember that brand logo and brand identity are not the same thing. If you’ve taken any course on branding or read a book about corporate branding, you are already familiar with the history of branding and where logo marks for companies come from. If you don’t know the story of branding or enjoy etymology, you’ll love this next section. What is a brand and where did branding come from? To truly understand brand architecture and how brand identity is evolving today, it’s helpful to take a brief look at the history of branding. Think about an old Western movie. Remember when cattle were branded with hot irons to mark who owned them? That’s the early idea of what branding meant and it carried over from cows to products like coffee, cereal and soap. If you made good coffee or waffles or shoes, people would associate your shop with quality and buy from you. Harley Proctor took branding to a new level by applying the modern marketing and advertising methods we’re all familiar with to his soap. Instead of just “Proctor Soap,” Harley associated his product with a specific quality – purity. Starting from a Bible verse about ivory palaces that smelled wonderful, Proctor marketed his “Ivory Soap” as pure beauty and cleanliness. His unique selling proposition method caught on and branding moved away from mere marks to quality guarantees. Brands were thus, no longer just associated with product attributes, but came to represent all of the ideas and impressions and feelings consumers associated with them. As advertisers, we’re thankful for the shift, because it created an entire industry to market those associations to the public. Today, brand identity is what someone thinks or feels when he or she touches, tastes, sees or hears of your brand. Beyond that, brands become part of the people who claim them. They are taken in, reimagined, cherished or tossed, and then shared with others. Brands can be functional or aspirational. Loved or hated. Prized and put down. Brands attract people to themselves and, in today’s omnichannel, hyper-connected digital world, change continually as audiences interact with them. If corporate branding began as one-way communication, it has definitely become a conversation. Today, there are more expectations and fewer rules when it comes to brand identity. The speed of business and the digital ecosystem requires regular brand evolution. We believe that brand guidelines and their resultant elements and strategies are living organisms; not spiral bound packets that sit on shelves collecting dust. One term that has come to express this new branding reality is 360-degree brand identity. Visual Qualities — include photography, typography, logo, iconography, color palette and patterns associated with your brand. Verbal Qualities — include company name, tone of voice, messaging and original or unique language associated with your brand. Sensory Qualities — include sounds, jingles, smells, taste, light, illumination, touch, texture and gesture controls that users associate with your brand. Interactive Qualities — include navigation icons, user-generated content, social content and behavior icons like Facebook’s ‘like’ symbol, Twitter’s ‘bird’ symbol and Google Maps’ pin icon to mark a place. If brand identity is a circle, 360-degree brand identity is a wheel. That wheel has spokes. Each ‘spoke’ is a touchpoint – a way for consumers to interact with and experience a brand. We like this idea of branding because it harkens the same kind of integration and overlap projected in the PESO model of integrated communications. Neither model is flat. They’re increasingly four-dimensional, just like the world we live in and the marketplace in which we do business. Successful marketers understand the historical reality we covered earlier — that brand identity has evolved beyond broadcast messages to two-way communication. In case you skipped over the brand history section earlier, here’s an uber brief recap. Before brand identity was a marketing concept, corporate identity was understood, practiced and progressed. Before that, all a company felt it needed from a marketing perspective was a strong logo. That logo comprised a company’s identity. As it has with so many other facets of life, technology has changed the very concept and application of brand identity design and corporate branding. The Internet set in motion a different way of relating to each other and to brands that has not yet stopped evolving. 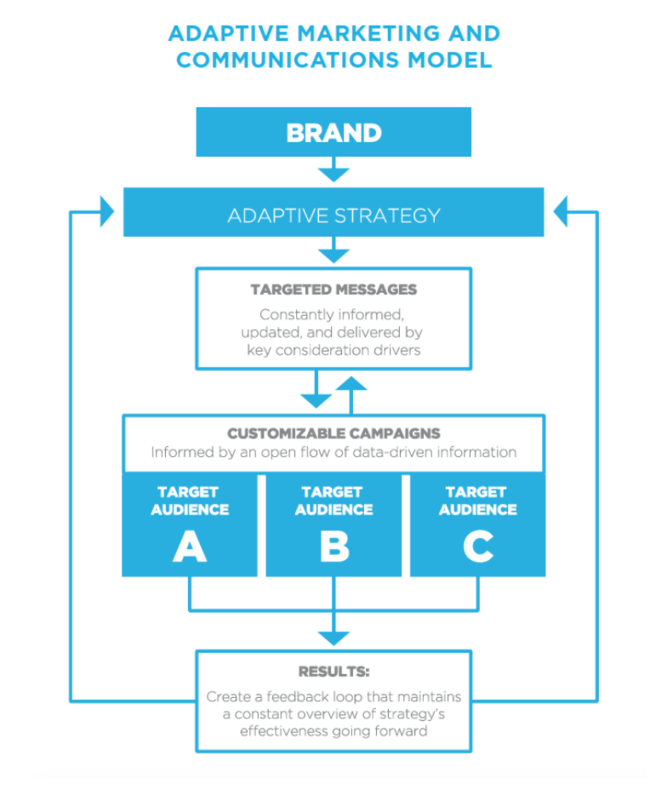 An always-open feedback loop now exists between brands and consumers. Brands must go beyond monitoring this feedback loop. They must engage as active participants in it. The era of strict, one-sided control of a brand is over. Savvy brand owners are right to try to maintain their brand identity, but they cannot expect those oversight efforts to result in homogenous perceptions of their brands by consumers. After all, maintaining the purity of logo presentation is one thing. Getting everyone everywhere to agree about your brand identity represents and conveys and who it attracts is a much taller task. As a brand owner, marketing manager or corporate executive responsible for shepherding a brand, where does that leave you? How can you successfully navigate the new digital landscape and ensure that your brand evolves with it? Keep reading. That’s the topic we’re tackling next. It might surprise you, but the best brand strategy and brand identity efforts start, continue and stay with customer research. 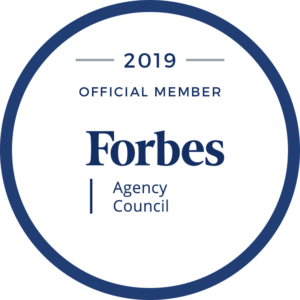 It probably doesn’t surprise you to learn that we believe in the power of 360-degree brand identity to form lasting and meaningful connections between consumers and the brands they love. When we perform a brand identity review for a client, we begin by performing research about the brand. We avoid one of the worst mistakes marketers make by actually using the research we conduct. It might sound surprising, but many marketers spend a lot of money on research simply for the sake of research. If you think you’re not guilty of falling into such a pitfall, ask yourself, what your last marketing campaign or strategy was based on? Was it hope? We transform customer research into effective strategies. For a brand identity review, that means translating the insights we make about a brand’s operations, products, services, customers, competitors, strengths, weaknesses, threats and opportunities into a strategy that guides integrated marketing tactics. Our Voice of the Customer (o.VOC™) and Voice of the Employee (o.VOE™) surveys work because, from the beginning, they study the experience that a brand’s customers and employees have with that brand from their perspective. Once we have conducted customer research and let it inform marketing strategy, we equip businesses with brand identity guidelines that help them attract their ideal audiences — those consumers most suited to form meaningful, lasting and profitable relationships with their brand. 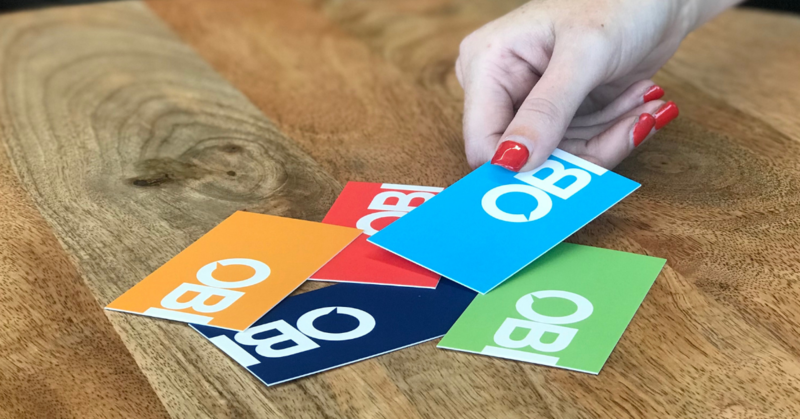 Just as brand identity has evolved into 360-degree brand identity, brand loyalty has evolved into the marketing law of attraction, which OBI founder and CEO, Mary Ann O’Brien, believes to be the new marketing axiom ruling the marketing world. Technology again is the force driving change in the way we experience brands. Social media and virtual reality have created new ways for consumers to interact and communicate with brands. Accordingly, consumers experience brands in more ways than ever before. Today a brand identity isn’t just something seen. Brands are felt through touch screen technology, expressed through user-generated content, affirmed through satisfying customer service experiences and even lived through all-encompassing virtual experiences. This technology gives brands powerful touch points with consumers. Yet, not all touchpoints are equal for all brands. Finding those touchpoints that resonate the most with your ideal audiences at each stage of the customer journey is critical. This presents both a huge opportunity for marketers and a huge challenge. If you’re feeling overwhelmed, engage the professionals at OBI. We’re here to help engineer a brand identity that discovers your brand’s unique story and shares it powerfully with those who will make it their own across our connected universe. As we’re talking about branding in all five senses, an important one worth drawing out further is how your brand is heard in the marketplace. Namely, is your brand voice optimized for voice search? It’s an important question because as Amazon Alexa, Google Home and other voice-activated devices change the way we interact with information, they’re changing the way consumers interact with brands and vice versa. If you want your business to be found, followed and frequented in the new age of voice search, you need to listen to your brand voice and make sure your ideal audiences can hear you loud and clear. Voice search is worth a deeper dive as we consider how to build a strong brand in today’s uber-connected digital universe. What is Voice Search and How Does it Impact Branding? Five years ago, the idea of smart devices piping out recipes, connecting us on video calls with family and ordering Ubers seemed like something out of a Back to the Future movie — fictional. Today, we are the Jetsons (minus the flying cars, unfortunately). Connected devices living on the Internet of Things (IoT) can communicate with each other and us more realistically than ever before. We literally have devices that we can ask to read a bedtime story, tell a joke or explain how thunder works. These devices and the voice search that powers them is the future of being found online. By 2020, more than 50% of all searches are predicted to be driven by voice search. Now, that’s likely less than a year away. Your website copy will need to be updated to incorporate a conversational question and answer format if you want your customers to find you. You’ll want copy that anticipates questions, answers them quickly and sounds good when it is read aloud. One easy way to test the copy on your site for voice search effectiveness is to read it out loud to yourself. Are you lecturing or discussing? Harnessing the power of voice search to draw traffic to your site goes beyond on-page copy. On top of taking care of the technical and text side of strengthening your brand to compete in the age of voice search, marketers must also think about how to define their brand voice in a voice-activated rather than a text-driven one. Your brand voice captures the personality of your brand. When we define brand voice for clients, we ground our messaging in research that illuminates the needs, desires and dispositions of the brand’s ideal audiences. We make sure the tone and words used reach out and connect in real, meaningful ways at the intersection points where those audiences live, work and play. It’s worth mentioning that brand voice is only one aspect of your brand. Brand identity includes visual, verbal, sensory and interactive qualities, as we discussed earlier 360-degree brand identity. As voice search moves into the mainstream, your brand voice will become more tangible than it has in the past. The tone and personality of your brand messaging will shine through in new and exciting ways. For example, today Alexa and Siri have fixed voices. There’s no way to choose how to have Google respond to your voice searches, but that could change down the road. Brands could have the ability to define the actual voice that people hear when they interact with their content through voice search. That’s an exciting prospect because it gives marketers the power to define the gender, age, language, accent, speaking speed and personality of the brand. What you do today through text you may do through sound someday soon. As the rise of social media challenged marketers to be consistent with their branding across the digital universe, voice search will present a challenge to maintain voice and tone across sound-engaged channels. Elements that work in a text and visual-only world (like hashtags and emojis) may be missed or misinterpreted when the sonic dimension is included. ‘Be brave’ is a mantra at OBI Creative. We challenge ourselves to innovate and push the limits to achieve breakthrough results for our clients and encourage you to do the same with your brand voice. Don’t wait to mimic your competitors. Get out in front and gain an advantage by being on the leading edge of the voice search revolution. Start working now to develop messaging that seizes the power of the medium to form powerful, lasting and profitable connections with your ideal audiences. Does the idea of defining your brand voice in the age of voice search sound appealing, but overwhelming? Are you confident about your brand identity and how it responds to the needs and wants of your ideal audiences? OBI Creative is here to help. Let us apply our innovation and expertise to your marketing opportunities. Connect with us now to start a conversation about your brand.